Three Leicester projects delivered by construction specialist Stepnell have been recognised as among the region’s most inspiring property schemes. Two major student accommodation schemes and a conversion and refurbishment project which has created exceptional overnight accommodation close to Leicester Cathedral have all been shortlisted in this year’s regional RICS Awards. The awards showcase the East Midlands’ most exciting and successful construction schemes. 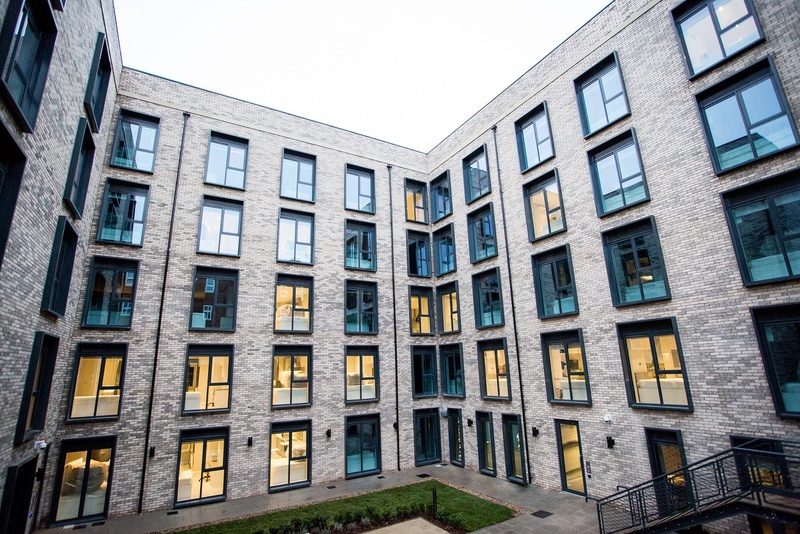 Two contemporary student accommodation schemes built by Stepnell for Zone Developments have each been shortlisted in the Commercial category of the regional RICS Awards. Both schemes – at 8-10 West Walk and Princess Road East - were designed by MAS architecture Ltd. The West Walk project saw the refurbishment of two Victorian buildings to provide 85 ultra-modern open-plan studio flats. In addition, an unsympathetic 20th century building was replaced with a sensitively designed modern building, which complements its 19th century neighbours. At Princess Road East, Stepnell has delivered a four-storey development of 110, high-end self-contained studio apartments in a conservation area in the city centre. The scheme has already achieved awards success, claiming the title of Large Residential Scheme of the Year in the ProCon Leicestershire Awards 2018 and the Leicestershire and Rutland Joint Consultative Committee Craftsmanship Award 2018. St Martins Lodge, a sensitive conversion scheme for the Diocese of Leicester involving the transformation of a Grade II-listed former Georgian town house in the Greyfriars conservation area is shortlisted in the Tourism and Leisure category. The stunning building features 28 stylish en-suite guestrooms in a prime location, near to the historic site where Richard III’s remains were found in 2012. It is also close to the St Martins House Conference Centre and wedding and events venue, which manages the property, and near to the city’s medieval Guildhall. The RICS Awards for the East Midlands will be announced on 15 May in a ceremony at Mercure Leicester The Grand Hotel.